Samsung's new official firmware brings critical bug-fix update, but no major features upgrade. 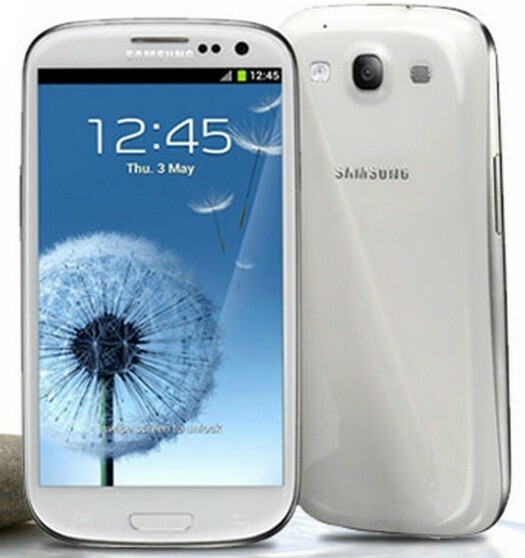 Samsung has rolled out a critical bug-fix update for Galaxy S3 I9305 LTE devices across the world. The latest Android 4.1.2 XXBLL5 official firmware is now available for manual download and installation using this guide. The firmware is available for the UK and other European countries including Austria, Belgium, France, Germany, Hungary, Italy and Spain. The firmware does not offer any major feature upgrades as such. It is a completely unbranded firmware, and hence will work on any unlocked Galaxy S3 I9305 LTE smartphone in the supported regions listed above. Installation of the firmware requires use of flash tool like ODIN. The XXBLL5 official Jelly Bean firmware and the instructions given in this guide are compatible with the Galaxy S3 I9305 LTE model only and will not work on any other device. Verify your device's model number by navigating to Settings > About Phone. Users are advised to take a backup of important data and settings before proceeding with the firmware update. Verify that the correct USB drivers are installed for the phone on your computer. Download Galaxy S3 I9305 LTE USB drivers. Enable USB Debugging mode on your phone by navigating to Settings > Developer Options (if phone is running Android 4.0 or later). Else go to Settings > Applications > Development (if device is running Android 2.3 or earlier). Make sure that your phone's battery has at least 85 percent charge to prevent unexpected device shutdown (due to battery drain) while flashing the official XXBLL5 Jelly Bean firmware on your Galaxy S3 phone. Installation of this firmware requires your phone to be factory unlocked and will not be compatible with phones that are locked to a specific carrier. As this is an official release, you will lose root access to the device soon after installing the official XXBLL5 Jelly Bean firmware. You will need to root your Galaxy S3 phone once again to regain full system access, and be able to install root-based apps. The instructions provided in this guide are meant for reference purpose only and do not cover any warranty claims involving device damage or issues arising out of installing the official Android 4.1.2 XXBLL5 Jelly Bean firmware. Users are advised to proceed at their own risk. Step 1 - Power off your phone and boot into Download Mode. To do so, press and hold Volume Down and Home buttons together, and then tap power button until the construction Android robot icon with a triangle appears on screen. Hit power button again to confirm entry into Download Mode. Step 2 - Launch ODIN on your computer and connect your phone it while your phone is still in Download Mode. Step 3 - If your phone connects successfully, one of the ID: COM boxes will turn yellow with the corresponding COM port number. This step may be time-consuming. So, do not interrupt until the process completes. Step 4 - Choose the files needed to be flashed or installed on your phone, which can be found among the extracted files in Step 1. Click 'PDA' button and choose file named 'CODE'. Tap 'Phone' button and click file named 'MODEM'. Ignore this step if such file is missing. Hit 'CSC' button and select file named 'CSC'. Ignore this step if such file is absent. Click 'PIT' button and choose the .pit file. Ignore this step if there is no such file. Step 5 - In ODIN, enable Auto Reboot and F. Reset Time options (by selecting the checkboxes). Re-Partition option must be checked ONLY if you selected a .PIT file in the previous step. Step 6 - Hit start button in ODIN and the firmware installation process will begin. It should take just a few minutes to complete. Android 4.1.2 XXBLL5 official Jelly Bean firmware is now installed and running on your Galaxy S3 I9305. Go to Settings > About Phone to verify the firmware version installed. Greetings From denta - gsm. 0 Respones to "Install Android 4.1.2 XXBLL5 Official Jelly Bean Firmware on Galaxy S3 I9305 LTE [GUIDE]"